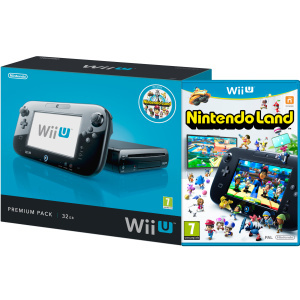 During the European Wii U launch shenanigans a few days ago, we reported that some gamers were receiving their Wii U systems a day early from Amazon and other online retailers, but that some Premium bundles were missing their copy of Nintendo Land. This must have been particularly frustrating for those buying that set with the intention that Nintendo Land would be their only game on launch day, and we can only assume it was due to some hiccups at the packaging facilities. It's been brought to our attention that a small number of orders for this item may have been delivered without the advertised game, Nintendo Land, due to supplier error. In the event that your order was one of the small number missing the game, please use the following code and instructions below, to download the game. John Pickford, for his part, seems to be onto a winner thanks to his early initiative. 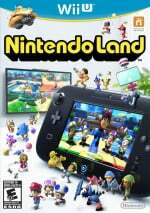 Are you one of the unlucky ones in Europe that didn't get a copy of Nintendo Land with your Premium console, and if so are you happy to be compensated with a download code? Sound off and let us know in the comments section. A download code is a nice way to get the game as quickly as possible. The downside is it's a 2.8GB Download, and you've paid for a physical copy. I had the precise opposite problem - I went out on Friday, bought Nintendoland, got home and received a call from Asda letting me know that their Wii Us hadn't been delivered, and that I would have to wait until about December 15th. BUT THEYRE MISSING OUT ON THOSE ROUND DISC EDGES!!!! How could this possibly be Amazon's error? Unless people were stealing the games out at a warehouse or something? 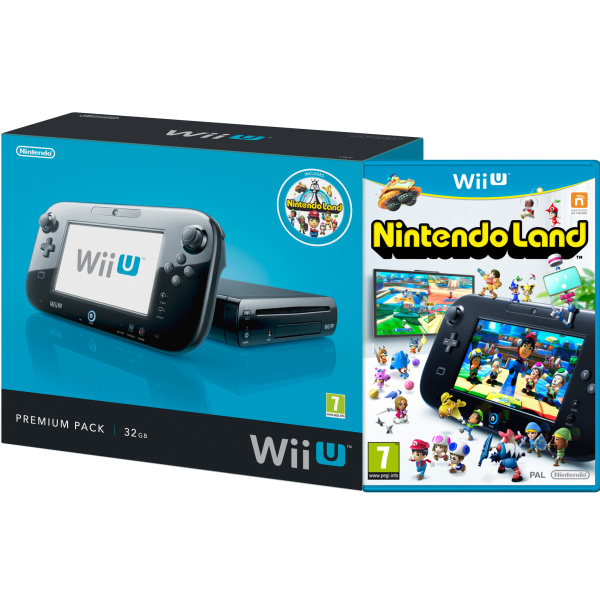 I always thought Nintendo Land would make a great digital copy for a quick few games... but I got the pack-in so... I'm so torn with this digital download stuff because Nintendo is so stingy with its use: locked to one piece of hardware, but this shows one great use for it. Think i'd be quite happy if i got the download code instead of the physical version. I don't really like the boxart so the convenience of not having to swap discs would be very welcome. Does anyone that didn't get their Nintendo Land game still want the disc, instead of the code? I would have rather had my copy missing for a couple days to get the DL code... All anyone should care about is it's fixed, and let the fight happen between Amazon and Nintendo, instead of it's 'fans' fighting someone they say never cares. Amazon's customer service is truly legendary. Once or twice I've had items lost in the mail, for some reason Amazon takes full responsibility and sends replacement/gives a refund with no hassle involved. Figured that they would fix it, thats Amazon for you. On a side note does anyone know why Amazon US doesn't deal with Nintendo anymore? Apparently it was over the 3DS launch that caused many problems and didn't sell enough. It's not known whether as a result of the fight, Nintendo's refusing to sell to Amazon, or Amazon is refusing to buy from Nintendo. @tealovertoma: Ah kinda stupid on both parties side. I like to do most of my online shopping through Amazon but when it comes to Nintendo products I either have to go elsewhere or go through a seller and usually pay a higher price. Sorry you guys don't get the round edges. I don't get a download code because my system actually came with the game? I would most certainly want a physical copy of a game, if I had paid for it. I ordered from Amazon on Sunday and emailed ahead of delivery to see if they were now checking all Premium packs before dispatch. I also said that I would not be happy with a download code should my WiiU come without Nintendo Land. Thet have since emailed back saying that I can order a copy of the game and they will give me a full refund. This doesn't actually answer whether they've solved the isssue outright however, but at least I know I can get a physical copy of the game if worst comes to worst. Don't except the code guys! Amazon just HAS to deliver a physical copy!! It's your right!! Had another email from Amazon. They've said that they're unable to confirm whether my inbound WiiU will have a copy of the game. The console was dispatched on Sunday, after they would have been aware of the issue, so this response makes things all the more puzzling. I would have thought they'd be checking to make sure once the games were in there. Oh well...the plot thickens. Arrived with the copy of Nintendo Land today. I'm a happy camper. Ordered from Zavvi on 18th September, they missed release date and couldnt tell me when it arrived. Ordered from Amazon on Sunday andnit arrived in 2 days. So much for forward planning.